TV Review Please note: THIS IS A POST-UK-BROADCAST REVIEW – THERE WILL BE SPOILERS! The thrill is definitely gone. This finale couldn’t lift itself up from the messy morass of the rest of the season, or redeem either Peter Capaldi’s Doctor or Jenna Coleman’s Clara Oswald. All of it, down to the completely annoying and unnecessary lies at the end, was utterly irritating. It didn’t make sense, it was ridiculous and contrived and just not engaging. Take the Danny arc. We left him last week with a button to push, or not push. Once again, Moffatt ignores the trailing plotline and just decides for him. Why bother investing us in Danny’s decision to press the button if it wasn’t going to matter anyway? So now Danny is a Cyberman, but somehow, he’s held on to his emotions. This is never properly explained. All we get is the usual bullsh*t power of love excuse. Aside from the fact that that is stupid and way, way tired for Who at this point, it doesn’t make any sense. Did none of the other millions of dead people have someone to love? Are we supposed to believe that the deceitful, mistrust-filled, half-hearted love of Clara and Danny was stronger than all the loves of all the people in the world who’ve died ever? At first, I thought that with the way the Cybermen were stumbling around the graveyards, they all had their emotions on, but then the Doctor triumphantly tells the Master/Mistress that she didn’t notice “the one” Cyberman running around with his emotions on. At that stage, it makes even less sense, because Clara has already turned Danny’s emotions off, but he still doesn’t kill her. His emotions are off, but somehow he still loves her. That’s just not possible. And it ruins the entire pathos of the Cybermen of the modern series, the whole reason they’re so evil and nefarious, which is that the people inside them are usually suffering and if their emotions get turned on, they’re so horrified and torn up they often kill themselves. All that is gone. 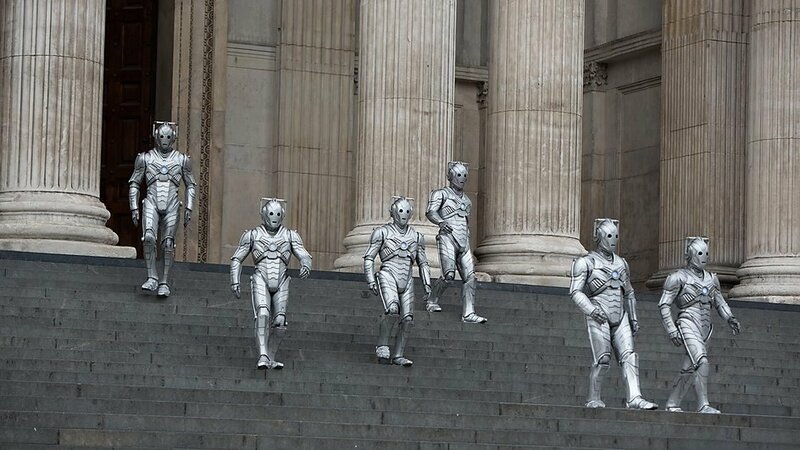 These Cybermen are just plot-fillers and whatever they do just suits the plot regardless of continuity. They’re stumbling around because they’ve just been born, but some of them are together enough to come together and take down the President of the World’s plane in a coordinated attack. No explanation. It’s just that the plane has to come down now, so it does. None of the elements of the finale are good enough to recover things. The Doctor as the President of the World is idiotic. He’s so flighty and untrustworthy that they tranquilise him to get him on the plane, but they’d like to turn the whole fate of the planet over to him. Huh? UNIT shows up and the writers kill the best character from the group, Osgood, in a needless, pointless and senseless way. Osgood’s whole thing is that she’s smart. There’s NO WAY a smart person walks closer to the evil genius to hear their “whisper.” Everyone in the whole world knows that ploy, everyone. You’d struggle to make me believe a total moron would fall for that one, not to mind a woman so intelligent and perceptive that the Doctor suggests she might be a future companion. And I know that the Master is totally insane, which Missy does brilliantly, but still, her whole plan is infuriatingly nonsensical. Why would she kill his friends and then tell him that she wants to be his best bud again? Why give him the army and then stick around to see what happens? The Master may be mental but he/she has also always been a survivor. She had to realise that if things didn’t go her way, she’d be in danger. While we’re talking about surviving, just how did the Master survive anyway? Oh, we’re just going to ignore that question. Oh great. That’s not annoying. Are you getting the idea that I hated every minute of it? That’s not even the worst bit. It’s that it was such a waste. 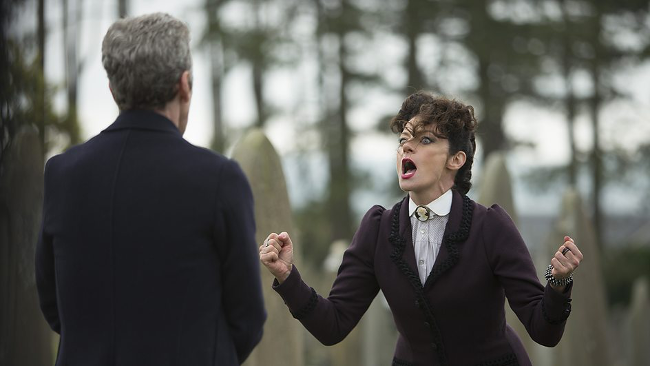 Missy (Michelle Gomez) was fantastic, and outlandishly crazed Mary Poppins that should have stuck around a lot longer and gotten a decent run of villainy before being dispatched. Chris Addison’s Seb was once again deliciously funny, but was also given hardly any air time (though his death was pretty good so it’s hard to argue that one). Five minutes in, I realised something that might be enough to put me off for life (unless The Reg keeps asking me to watch of course) – I was rooting for Missy and Seb. I wanted them to win and take over Doctor Who, so it might be watchable again.